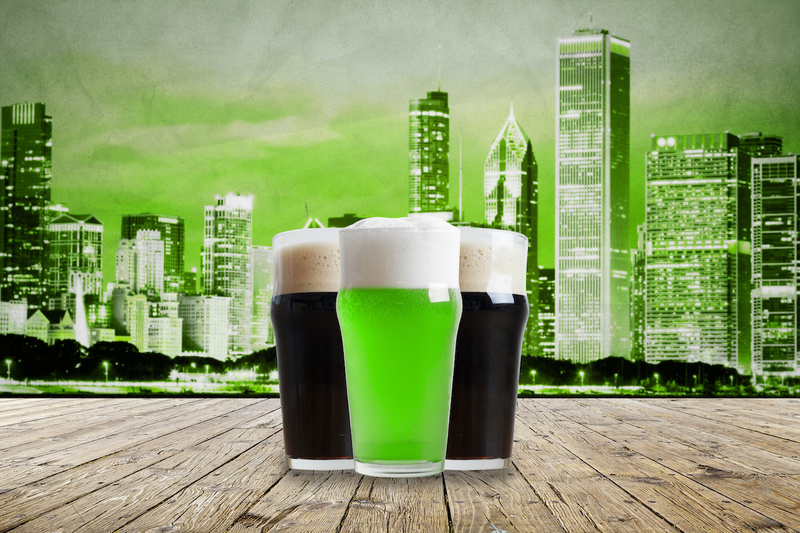 Celebrate St. Patrick’s Day in Chicago to witness the river running neon green and watch their Irish themed parade. For half a century, the river has turned a vibrant green in “Windy City” on St. Patrick’s Day. The tradition was started in 1962 when Stephen Bailey had the idea of this famous stunt. The dye is a secret recipe of the Chicago Plumbers Union, which was developed to trace leaks. Work starts early morning on the day before on the 16th March. Around 40 pounds of the powdered dye is poured into the Chicago river and motorboats are used to churn the water up, until it turns a vibrant green. The river remains illuminated for 24-48 hours. The coloured water starts from Columbus Drive and lasts up to 4 bridges towards State Street. For anyone worried about the environmental aspect, the Chicago Plumbers Union insist that the dye is environmentally friendly. Be sure to pack green clothing for this trip, so you can blend right in and enjoy the St. Patrick’s Day Parade. In 2019 the parade was held on Saturday the 16th to coincide with the neon green water flowing through Chicago. Expect a lively parade, raucous groups on pub crawls and green / white & orange coloured crowds in the streets. The parade starts around noon, departing from the intersection with Baldo Drive along Columbus Drive, ending at Monroe Drive. The parade includes floats, Irish dancers, marching bands and more, lasting 3 hours. The Claridge House Hotel is situated in downtown Chicago, just a 30 minute walk / 1.5 miles to the Columbus Drive bridge. Close the the lake front and half a mile from Lincoln Park, this is a relaxed neighbourhood that feels worlds away from a typical big city hotel experience. Their modern guest rooms are described as chic, residence-style décor. There’s an oyster bar onsite, as well as fitness studio and spa. Resort fee payable locally: USD $16.75 per room, per night. Give us a call on our freephone 0800 810 8404 or send an enquiry below for more details or to book this offer.